No Wizards, not Wizard101 Mooshu, Pirate101 Mooshu! 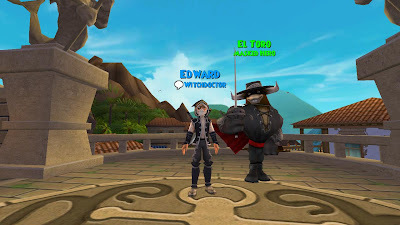 It took awhile for me to finally get out of Cool Ranch and that's why I haven't been blogging lately, I have been very busy trying to fight chickens, roosters, cowboys, snakes...... something I'm terrified of! I couldn't believe my pirate finally made it through after defeating Captain Blood! 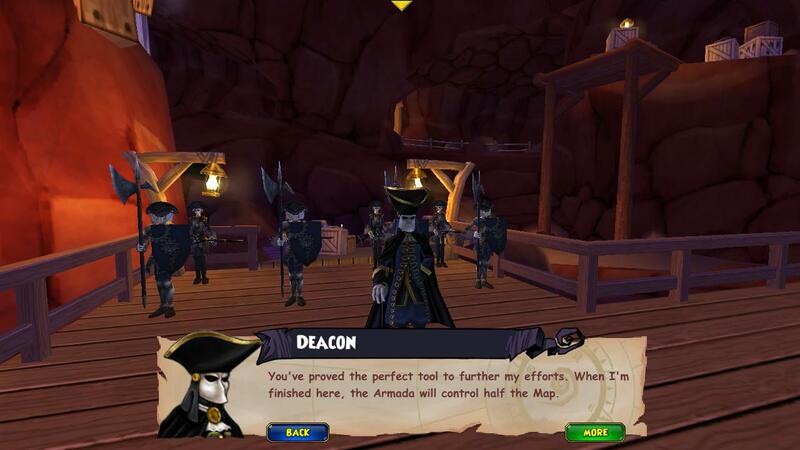 Wow he was a really bad fight, not the worse though... Deacon, do you remember him from the tutorial of the game? I had to fight him too! I died a couple of times trying to defeat him, I was about to give up and log out the third time until one of my companions did a relentless which saved our lives and we finally defeat him. 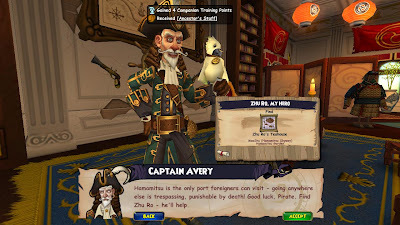 After a little while after defeating him I got my ticket to Mooshu from Captain Avery! I was very excited, I've been leveling so much and I was glad I finally had my ticket to Mooshu! 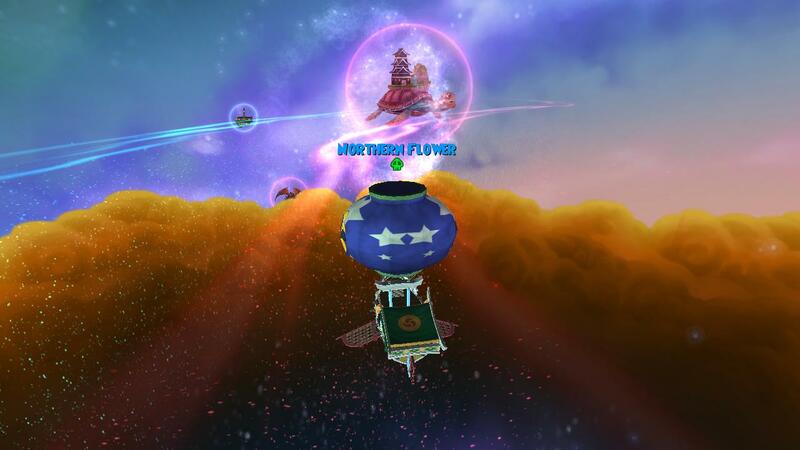 Once I got to Mooshu I changed from my Cool Ranch robes to Mooshu robes because they are the most epic gear in the Spiral! I am very glad they have nice stats and not only that, they also look more like high level gear! Oh, did I tell you Mooshu has a little bit of music from Wizard101 just like Wizard101's Mooshu? You'll have to see when you get there, until then.. see you in the Spiral!